Meet the new, ridiculous “challenge” circulating on FaceBook that is meant to make us laugh at the person running around aflame. What, we ask, would be funny about this; and how could something not go terribly wrong? One 15-year-old boy is dead from the injuries he sustained while performing the challenge. James Shores burned to death after his entire body was engulfed in flames. 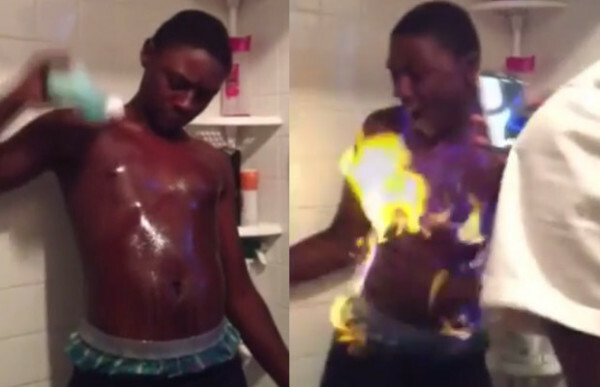 The #FireChallenge involves covering your body with a flammable substance before setting yourself on fire. The person’s “friends” will then video the act and share it on the internet. This is the part where you are supposed to laugh as you watch the reaction from the burning person. Darwinism at work. Let these idiots simply kill themselves off and not get the chance to reproduce. Let em’ burn. Don’t be botherin’ the fire department.